Do you have someone’s special day circled on your calendar? 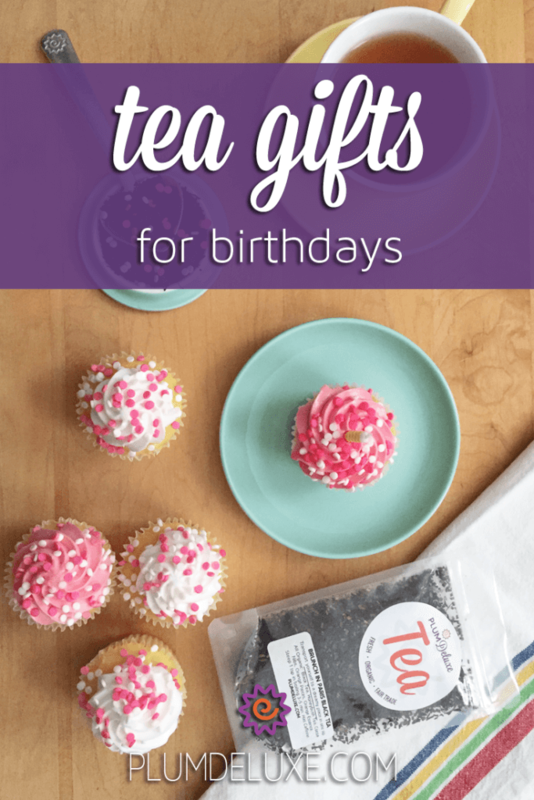 Share some marvelous tea gifts for birthdays during your next celebration. Cake is almost synonymous with birthday celebrations. If you are looking for great tea gifts for birthdays, bake a tea-infused cake for the person. For a cake that pairs sweet honey and floral lavender with classic Earl Grey tea, try this recipe for an Earl Grey Honey Lavender Tea Cake. For the green-tea fan, try a Matcha Layer Cake: the matcha green tea powder is in the frosting, so you can customize the recipe to use your favorite cake batter. If you prefer something sweet and simple, bake a Hazelnut Tea Infused Cake. For extra decadence, try infusing it with Chocolate Hazelnut Dessert tea. If the birthday person likes to bake, make it a social occasion and whip up something sweet in the kitchen together. If the lucky guest isn’t a cake lover, bake a batch of tea-infused cookies instead. After all, who can resist Earl Grey Butter Cookies? 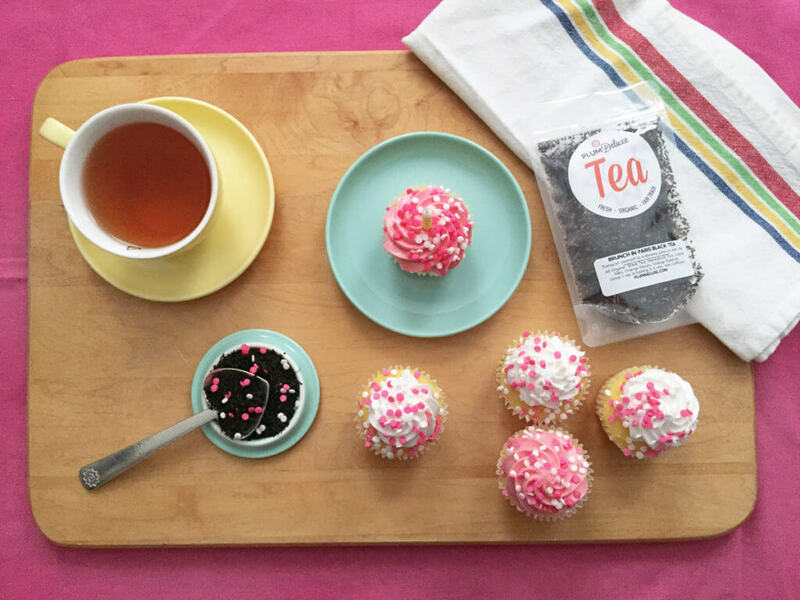 Tea parties are a great social idea for tea gifts for birthdays. The best gift you can give a tea-loving friend might just be to host a tea-inspired party. 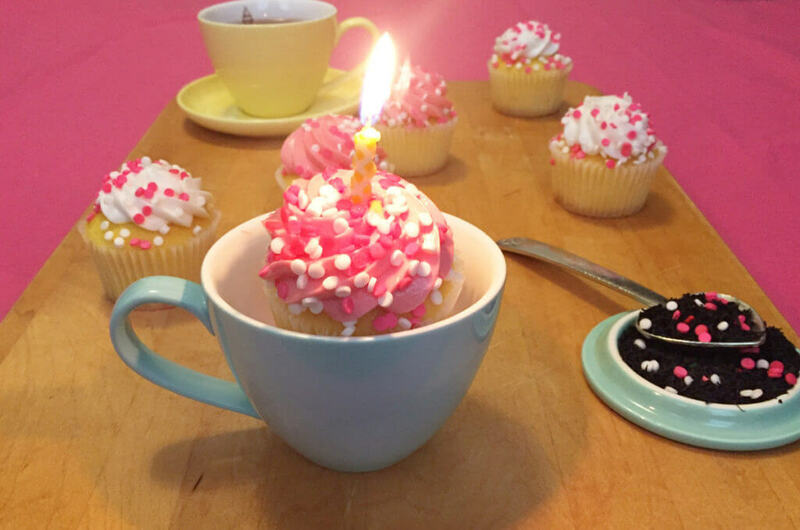 Throw a tea party for a tea-loving child’s birthday. The kids will feel special using a cup and a saucer at a decorated table. Serve tea with a side of milk, rock sugar, and lemon slices and let the kids doctor their tea to taste. Be sure to brew a low-caffeine or decaf herbal blend like this sweet classic Vanilla Creme herbal tea. Some cherry-topped cupcakes on the side wouldn’t hurt either. For the grown up tea fan, try your hand at hosting an afternoon tea party. Transform your home into the perfect tea party station. Brew some peach-pear Afternoon High Tea or Candlelight Blend white tea and serve with finger sandwiches and scones. We like this recipe for Blueberry Orange Scones — but check out the recipe index for plenty more great scone ideas. Host a unique birthday full of drinking tea and feeling fancy. Are you doing the party-hosting even if it’s your birthday? Maybe a group un-birthday party is the just the kind of occasion you want to provide. Whether you are celebrating your birthday or your friends’ birthdays, mix up a batch of tea-infused cocktails for toasting. If a party isn’t necessarily the right way to celebrate, take a look at this birthday guide for some fun, festive alternatives. Let’s not overthink this one: The best tea gifts for birthdays are tea and accessories! If the birthday person is a tea aficionado, take a look at these more specialized gifts for tea enthusiasts, like a colorful tea cozy to keep your tea from cooling down too quickly or a custom tea sample set. If you are celebrating your sweetheart’s birthday, get inspired from this list of romantic tea gift ideas, like rose-inspired tea, or an Heirloom Heart Pewter Tea Scoop. Still not finding the perfect match? Take a look at this tea gift guide, with recommendations for every level of tea lover, from novice to master and every fanatic in between. If you’re still searching for the perfect tea gifts for birthdays, look no further than the Plum Deluxe Quarterly box or the new Plum Deluxe Quarterly mini box. Both boxes feature a specially curated collection of teas, snacks, accessories, and more, all wrapped up in a fun theme. No matter how you celebrate birthdays, a cup of tea on the side can help make things just a little brighter and cozier. Happy birthday and happy brewing!